Pick up some tips for safe viewing of a partial solar eclipse. Join the Saskatoon Nature Society at 3 pm in Room 107, Physics Building, U of S.
The recommended viewing location is from 6:07-8:13 pm on the Diefenbaker Park Toboggan Hill (RASC astronomy club event). CanoeSki Company is offering a Map & Compass Wilderness Navigation course on June 3. The full CanoeSki roster of canoeing courses and trips is available on their website. Nature Saskatchewan has a full schedule of activities, including 5 different tours, during their Spring Meet in Prince Albert. The Society for Range Management is holding its annual workshop and tour in Saskatoon. The tour features ranch and pasture visits, water development, restoration and grazing projects, hands-on activities, Species at Risk updates, and more. The registration deadline is June 11. Environment Canada is terminating its funding commitment to 14 out of 16 Canadian Biosphere Reserves – including Redberry Lake. Redberry Lake is looking for fundraising ideas, volunteers, and donations. The Vegetation Information System Saskatchewan (VegISS) Training Workshop is now available on the SK PCAP website. The early bird registration date for the Making More with Microbes workshop has been extended to May 15. The final registration deadline is now June 1. The Permaculture Research Institute of Saskatchewan is also offering a promotion – register with a friend and both of you will receive a $50 discount. In the morning, tour Craik’s Eco-Centre, composting and recycling program, solar-run restaurant, garden and local food programs, and learn how the town developed the projects. After lunch, there will be a workshop on catalyzing youth and inter-generational conversations, identifying practical options for engaging young people in their communities. The day-long activities are sponsored by the Centre for Civic Governance. There will be similar workshops on May 18 at English River First Nation, La Plonge Reserve and on May 29 in Swift Current. The Saskatchewan Watershed Authority is looking for volunteers to help count piping plovers from Saskatchewan Landing to Gardiner Dam, including all of Lake Diefenbaker. If you are interested in participating or would like some more information, please call Corie White at corie.white@swa.ca or 787-9057. The Wildlife Conservation Society, in partnership with the American Prairie Reserve, World Wildlife Fund-US, Nature Conservancy Canada, and The Nature Conservancy, has received funding from the U.S. 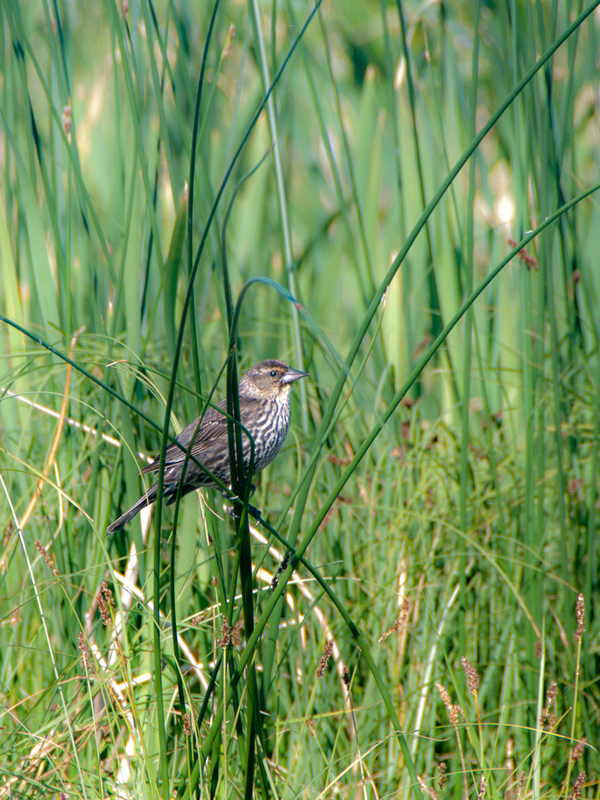 Fish and Wildlife Service to maintain and restore critical habitat for the Sprague’s pipit in northern Montana, North Dakota, and southern Saskatchewan. The Sprague’s pipit is one of the most endangered grassland birds in North America. The funding will help to increase and improve its habitat through grazing deferment, reseeding with native grasses, and targeted outreach to ranchers and agencies on the conservation and management options for this grassland species. The Friends of the Forestry Farm House are hosting walking tours of the Forestry Farm Park National Historic Site on May 27, June 24, July 22, and August 26 at 2 pm. Tours start in front of the Superintendent’s Residence. The Society also offers tours for Grades 3 and 4 students upon request. Join the Native Plant Society of Saskatchewan, the Saskatoon Nature Society, and the Saskatchewan Wildlife Federation for a free tour of Saskatoon’s Northeast Swale. Mini tours will focus on plants, history, and nature. A free lunch will be provided by the Wildlife Federation. There will be a birding excursion at 7 am. Other activities will start at 9:30 am. Call 668-3940 or info@npss.sk.ca to register. A complete listing of all upcoming events can be found on our Calendar. You can follow EcoFriendly Sask by liking us on Facebook, following us on Twitter, or by email (top right corner).